DoubleTree Resort by Hilton celebrates first anniversary amid much fanfare and merry making. It has received over 120,000 travellers and holiday makers in the first year of its opening. Over 300 guests including the Chief Minister of Penang, Yang Amat Berhormat Chow Kon Yeow, and the State EXCO for Penang Tourism Development, Arts, Culture and Heritage (PETACH), Yang Berhormat Yeoh Soon Hin, alongside other state tourism and government officials attended the evening celebration. Other dignitaries that graced the event include Yang Berhormat Joseph Ng Soon Seong, State Assemblyman for Air Itam and Mr. Zulkifly Md. Said, Deputy Director General (Planning), Tourism Malaysia Promotion Board. The guests were taken back to the halcyon days of Batu Ferringhi as Jason Chong, CEO of Cornerstone Partners Group, reminisced about growing up in the area. He said that he was pleased to be able to play a part in the development of the hospitality and tourism industries in Penang. 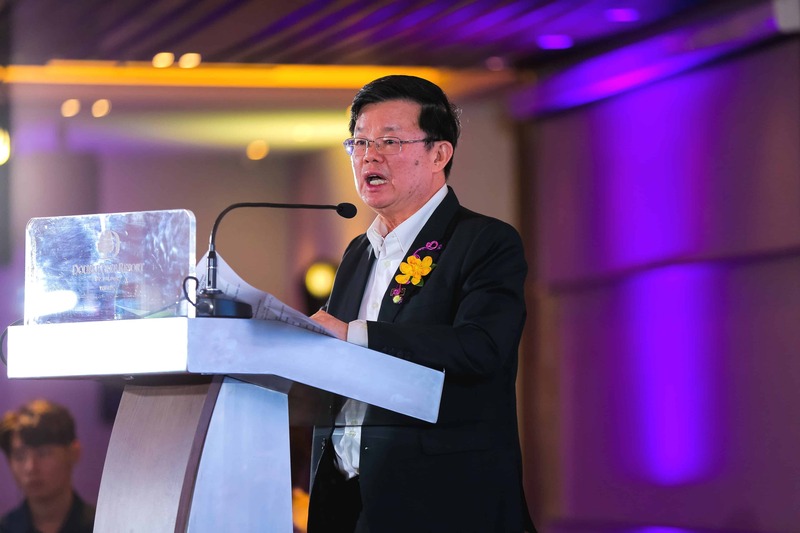 “With the continuing success of the DoubleTree Resort by Hilton Penang, we hope to show that this is a viable model for the hospitality industry, and we will be able to attract further investment and other iconic hotel brands,” Chong added. The island state’s first Hilton property offers a fresh, unique and intriguing addition to the holiday scene for travellers visiting Penang. An ideal resort for millennial families traveling with young kids and teens, the 316-room family-focused, full-service resort offers the option to connect up to two rooms with the privacy of shared hallways, a Kid’s Club and direct access to Malaysia’s first teddy bear-themed museum, TeddyVille Museum. 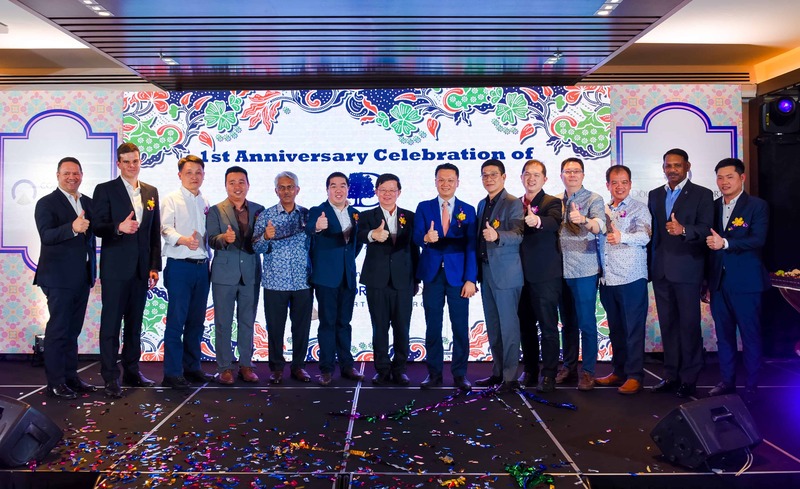 Jamie Mead, Regional General Manager, Hilton, Malaysia said, “We are delighted to have brought our first DoubleTree Resort in Asia to Penang together with Cornerstone Partners Group. The Resort has been welcomed wholeheartedly by the community here, and we believe that our unique CARE – ‘Creating A Rewarding Experience’ standard of hospitality has added to the rich diversity of experiences available to visitors in Penang. The resort also offers meetings and events facilities with a ballroom to accommodate up to 600 guests and three function spaces covering an area of more than 8,000 square feet in total, making it an ideal venue for private, social events and seminars. DoubleTree Resort by Hilton Penang is part of the Hilton Honors programme, an award winning guest-loyalty program for Hilton’s 17 distinct brands. Hilton Honors members, who book directly through preferred Hilton channels, have access to instant benefits, including free standard Wi-Fi, a flexible cash/points payment slider, an exclusive member discount and points redemption for free nights. All guests will be automatically invited to join the Hilton Honors program to fully enjoy the rewarding benefits of discounts and points earned as a Hilton Honors member, from direct bookings, dining, meetings, event weddings and social events for an unforgettable experience. As a representative of Business Today, I would like to commend on the warm hospitality shown by the staff of the hotel especially Mr. Horsey, a bellboy, whom has made my short stay at the hotel most memorable. Great Italian Coffee, For Free!